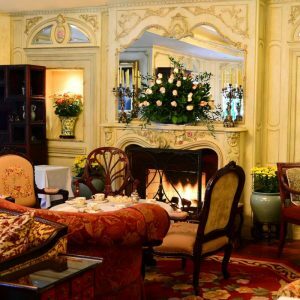 Experience stately elegance and attentive service in this spectacular Georgian-style, waterfront hotel. Featuring floor-to-ceiling windows, a sweeping staircase, marble floors and a stained-glass ceiling, Queen’s Landing is a mansion with style. 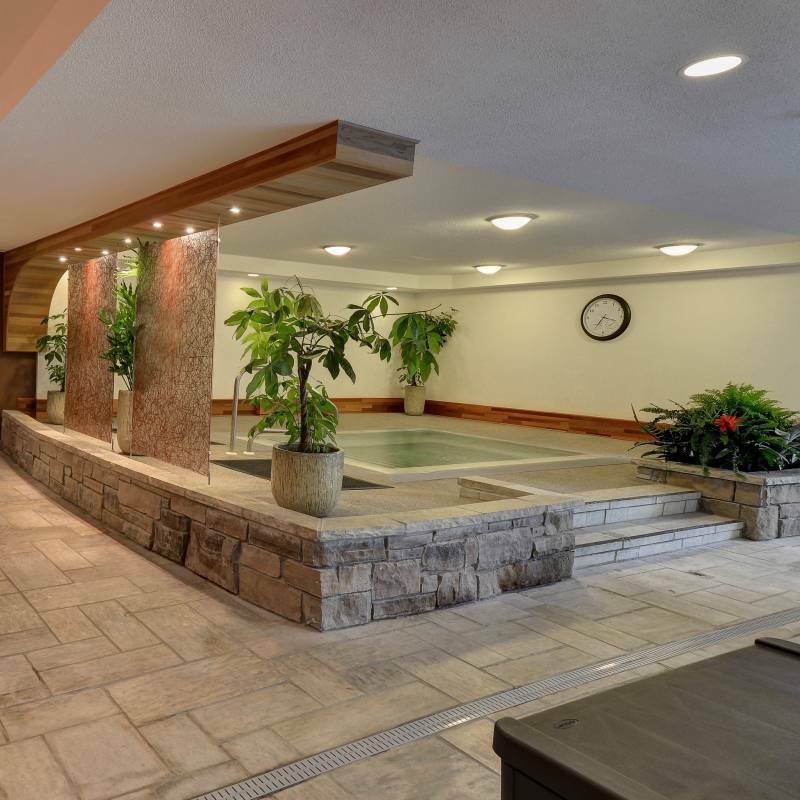 There are 142 comfortable guest rooms, swimming pool, waterfront patio and two dining areas; one with panoramic views over Niagara-on-the-Lake harbour. 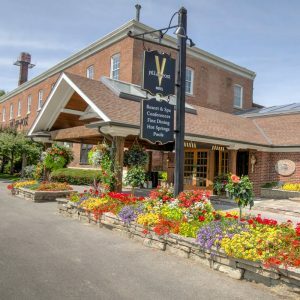 You also have access, via complimentary shuttle bus, to spa facilities at two of Vintage Inns’ other Niagara-on-the-Lake hotels. All rooms include standard hotel amenities plus plush hypoallergenic duvets, 2-inch mattress pads, and 300-thread-count sheets. Also, in-room safes, high speed wireless internet (fee applies), daily newspaper, 37 inch LCD television and pay per view movies. Turn down service includes a rose placed on the bed. Traditional Guestrooms: King, Queen or 2 Double beds. 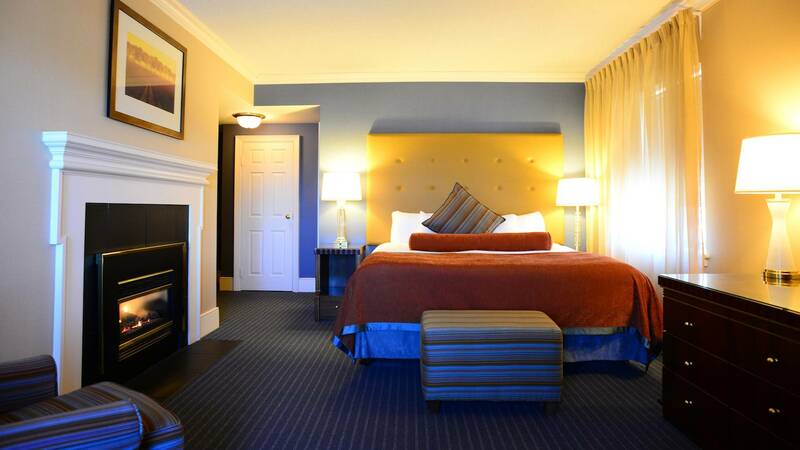 Deluxe Guestrooms: King or Queen bed featuring a fireplace. 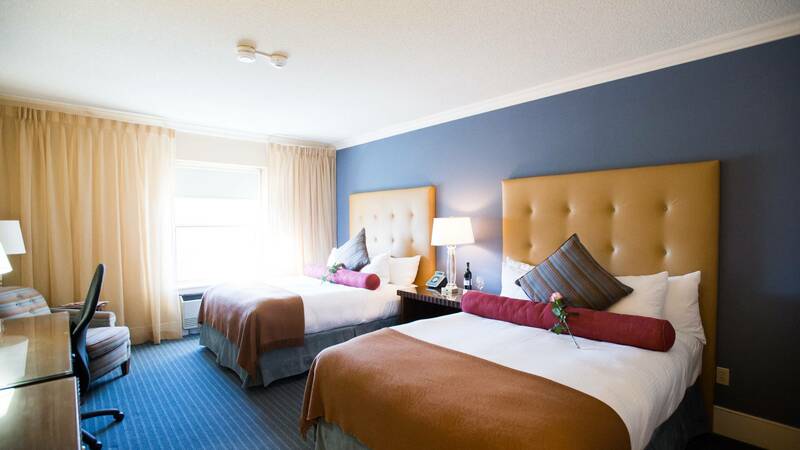 Premium Guestrooms: Features a jetted tub and fireplace. Premiums are available with a King, Queen or 2 Double beds. 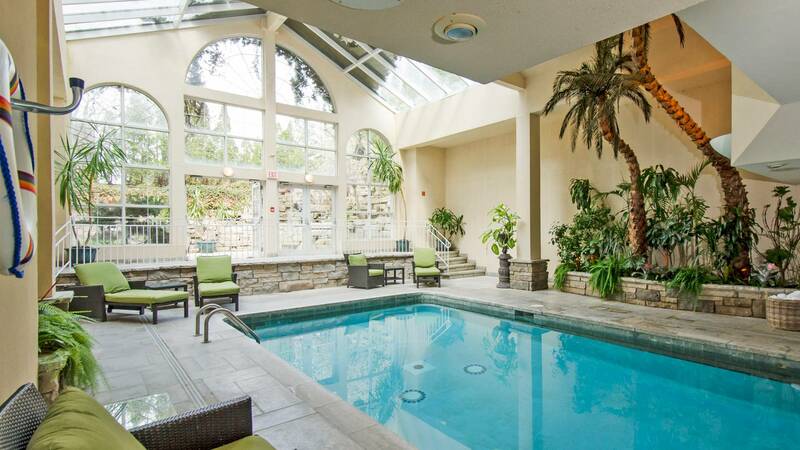 Extra amenities include free local phone calls and 42 inch LCD television. Suites: The most luxurious guestroom. With additional room for relaxing or entertaining, a suite also features a jetted tub and fireplace. All Suites have a King bed. 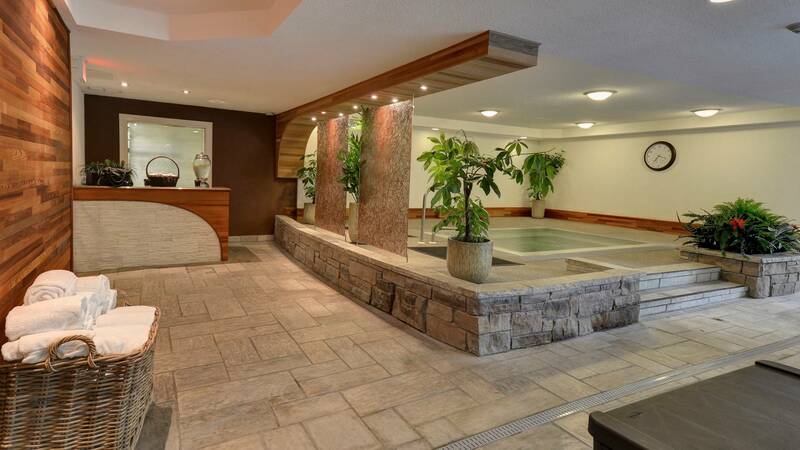 Extra amenities include free local phone calls and 42 inch LCD television. Queens Landing offers the perfect mix of style and comfort in one of the most beautiful areas of Canada, renowned for its wine production, culture and history.